It is a wonder what actually made Corgis the regal pups we know them to be today. Was it something innate or the fact that the English royal family cannot get enough of them? Either way, it is more than evident that these mutts are special and stand out in more ways than one. It should not be news that these dogs need a healthy and nutritious diet to thrive, just like all living things. Nevertheless, you may be a bit clueless as to what constitutes the best dog food for Corgis. These reviews are sure to shine the light on what your furry little friend should be eating on a daily basis. This first Corgis food on our list is a treat for your canine friend brought to you from the kitchen of Rachael Ray. Whether she is cooking for humans or for our furry little friends, you can rest assured that she is bringing the same level of commitment and authenticity to the table. It is for this reason that the Rachael Ray Nutrish Just 6 Natural Dry Dog Food is made with simple ingredients that all have a part to play in delivering flavor and nutritional benefits to your Corgi. The number one ingredient in this high quality dog food is the lamb sourced from New Zealand and Australia. It’s not just there to look, smell and taste delicious but it is also a highly digestible source of protein that offers your pet all the essential amino acids and B vitamins. This, in turn, helps to foster lean muscles and healthy organs. At the forefront, this diet dog food also contains brown rice, dried plain beet pulp, chicken fat, natural pork flavor, and ground rice. It is void of corn, wheat, soy, gluten, poultry by-product meals, artificial additives, and filler ingredients. The fact that it contains a limited number of ingredients is great because it helps your pet to avoid food sensitivities. Once you have your Corgi on this dog food, they are not only bound to have the healthiest digestive system possible, but the effects will also be evident in their day-to-day lives. Dogs are basically omnivores by nature and protein is still a vital part of their diet altogether be it plant, or animal based. 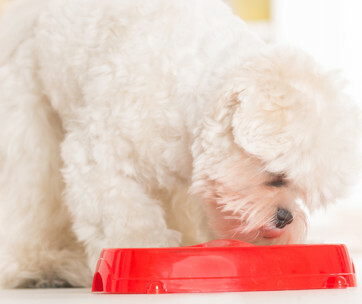 Though it is established that your pup could probably skate by on a plant-based diet, they would thrive a lot better if they could just sink their teeth into some juicy meat every now and then. That is why a product like the Wellness Core Natural Grain Free Dry Dog Food Reduced Fat could be a beneficial addition to your Corgis diet. It is considered a protein powerhouse as it contains 80% more meat than traditional dog foods, and is especially better than those that contain grains. 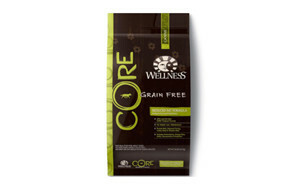 If you are a dog parent that supports the raw feeding philosophy, this is the product for you. This particular grain free option comes in the form of a reduced fat formula that contains actual turkey, chicken and salmon oil and a protein-rich mixture that will support your dog’s healthy weight management. However, be sure to note that this diet dog food is solely meant for adults who are over a year old. It does not cater to the needs of puppies or pregnant/nursing mothers because they have very specific nutritional needs. Also, it may take a few days for your pet to adapt to the burst of nutrients present. So, over the course of 5-7 days, try to mix it in with their food and slowly increase the amount so that by day 7 they are wholly on it. A Corgis diet should consist mostly of protein and fat; although there are other essential nutrients that prove useful, it is best to keep it simple so as not to trigger any sensitivities. This among other reasons is why most Corgi breeders highly recommend the CANIDAE Grain Free PURE Dry Dog Food. It has a limited number of ingredients, specifically 7-10 so your dog is less prone to encounter any food sensitivities if they are solely on this diet dog food. The protein levels in this dog food are on the high side as it has real meat as its number one ingredient. We can’t forget to mention that the CANIDAE brand only deals with grain free puppy food and each batch is made with 7-10 key ingredients that you can easily recognize anywhere. So, you can rest assured that they are definitely transparent about what is going into your Corgis stomach. Also, there are a range of formulas made with either meat or fish which are usually paired with other whole ingredients such as peas, lentils, sweet potatoes but never corn, wheat or soy. Ultimately, it is up to your pup to pick a preference. What do you have to lose? This is a balanced diet offered up to you and your pup that is also as delicious as it looks. 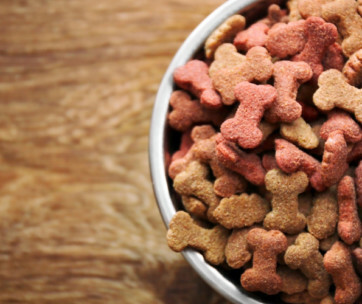 While there are a number of nutritious meal options out there for your pup, dry dog food is a highly viable one. Most people believe that since it is dry, it altogether dehydrates dogs, but despite its reduced water content, it is still as good as its wet counterparts. If you are in the market for a reliable dry dog food option, the Orijen Dry Dog Food, Original will give you all you need and more. This high-quality dog food is varied in fresh and whole animal ingredients and you have nothing to worry about as it has been modeled to be natural. 2/3 of the animal proteins it contains are either fresh or raw and offers up to 38% in protein and 20% in carbohydrates, which is just the ratio your dog needs to lead a healthy life. In addition, chicken, turkey, wild-caught fish and cage-free eggs form the main ingredients, which are already 85% of the ingredient list whilst the other 15% consists of vegetables, fruits, and botanicals. No need to fret; it is also guaranteed that this holistic dog food is void of grains or plant protein concentrates. 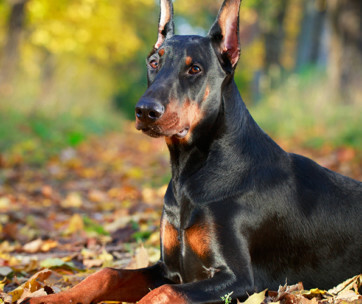 This wholesome dry dog food should be a big plus for all the raw feeding enthusiasts out there. All in all, these stellar components work hand-in-hand to ensure that your dog has access to a low carbohydrate, high protein diet packed with a range of fresh meat that will keep them as vibrant and healthy as ever. Anyone who owns one knows that Corgis are quite an active and animated breed of canines; anywhere there is action, you will be sure to find them. It is almost as if they feel like big dogs trapped in their tiny bodies. Though they can skate by on a minimal diet, it would be wise to give them the best so their bodies can keep up. The Instinct Raw Boost Grain Free Recipe Natural Dry Dog Food by Nature’s Variety can give your pup all the fuel they need to make it through the day. It is a high protein dog food that is packed with probiotics which are put in place to support healthy digestion. 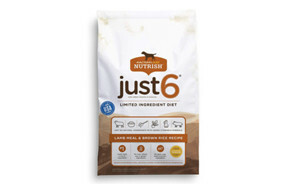 This comes in the form of a grain free kibble fitted with completely natural bites of freeze-dried raw chicken. It also helps that the number one ingredient is cage-free chicken, so your mind can rest a little when you feed this to your beloved pet. This dog food will open your eye to the wonderful power of raw ingredients, so if you were not a believer before, get ready to have your mind changed. All the ingredients are made from real meat and whole food ingredients that are minimally processed and sourced from all over the world. To crown it all up, you can rest assured that it is void of grain, potato, corn, soy, wheat as well as all forms of by-product meal, artificial colors, and preservatives. If you are aiming for some holistic dog food, this next product will do your pet some good. Not only does dry dog food provide all the nutrients that your pup needs to thrive as a whole, but they also go a long way to help with their dental hygiene and development. On this front, you can rest assured that your furry little friend is getting the all-around care he/she needs, especially if they are indulging in the delicious Fromm Family Foods 15 Lb Gold Nutritionals Adult Dry Dog Food. Being that the creators of this high-quality dog food are a tight-knit family, their family values obviously spill into the making of each batch. They are not only driven by profits, but it is in their best interests that their customers, employees, and business thrive altogether. It is with this love and dedication that they have created a dog diet food that is made with only the best of ingredients, some of which are fresh duck, chicken, lamb, whole eggs and cheese. Even for a human being, those are some rich ingredients altogether. One great quality of this food is its versatility; it can be used both as Corgi puppy food and for seniors alike. 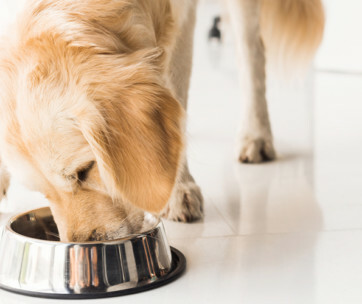 Some may say that it is a bit on the pricey side, but once your dog is started on this dog meal, the results will definitely speak for themselves. It will show in their energy levels, their skin and coat, all in all, the quality of life they lead will improve drastically. A beloved dog deserves the best that you can offer. At every stage of a dog’s life they need certain nutrients to thrive and in most cases, the food you give to puppies, pregnant/ breastfeeding and seniors need different nutrients to enable their development at that stage. If you are the dog parent of an aging mutt, then the Instinct Raw Boost Senior Grain Free Chicken Meal Formula Natural Dry Dog Food is just what the doctor ordered. With its high-protein, grain-free formula, this dry kibble meal equips your pup with a nutrient-rich diet as well as pure nutrition for a healthy digestive system. 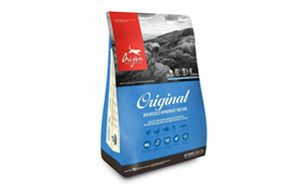 It comes in the form of an easy to eat grain-free kibble accompanied by pieces of freeze-dried raw meat in the same bag. It may sound like a simple meal, but it can do so much for your pet and in different areas of their lives too. The fact that it contains natural ingredients, as well as essential minerals and vitamins, makes it more than suitable to handle the needs of your adult dog. It also contains ingredients like glucosamine and chondroitin which are needed to support healthy hips and joints as well as natural DHA which works on the front of eye and brain health. That is not nearly the end of it; it contains healthy Omegas as well as probiotics which work to develop/maintain a soft and shiny coat and support healthy digestion respectively. There are no harmful elements in this dog diet food and as such, you will not find any artificial colors, flavors, preservatives as well as corn, wheat, and fillers. This next brand has already proven itself as one we can trust wholly. With its food that has been prepared specially for your pup in a privately owned DogStar Kitchen and all-natural ingredients that are harvested by trustworthy people who deliver it fresh or raw, this is definitely a brand to support. The Orijen Dry Dog Food, Puppy tries its best to mimic the diet your Corgi would have adhered by if he/she was in the wild and that is the philosophy that the whole brand stands by. You may not believe this, but our modern day pups are still very similar to their ancestors and based on that, they should get to eat like them too. It contains a range of ingredients that make it a top-notch choice if you are in the market for some Corgi puppy food. Featured in this dog diet food are the appropriate ratios of meat, bone, organs, and cartilage without the unwelcome presence of grain, tapioca or plant protein. As a result, your pup will be on a high-protein, low carbohydrate diet that will no doubt keep him/her healthy and happy all-around. So, what are the actual ingredients in this high-quality dog food that have us making such a fuss? It contains free-range chicken and turkey, whole wild-caught fish, and cage-free eggs. There is no doubt that these ingredients will have your adult dog or developing pup positively beaming and growing at the optimum rate. Another aspect of this dog meal that makes it stand out positively is the fact that it tastes great! Yes, since 2/3 of the animal proteins infused in this meal are fresh and raw, the flavor is practically irresistible to your pup. How decadent can dog food get? Is there a limit to what we should feed our furry little friends in the name of high-quality food? If your answer to the second question is yes, then the makers of the Merrick Limited Ingredient Diet Grain Free Dry Dog Food think quite differently. Just because this brand has limited ingredients does not make it any less decadent as they are all of the highest quality for the benefit of your dog. This diet dog food employs the use of single-source animal protein recipes to bring you the best for your furry little friend. Each recipe is created with a limited number of carefully sourced ingredients which provide complete and balanced nutrition for dogs. In fact, it takes having a limited number of ingredients to the next level as it has only 8 key ingredients in total. If you are trying to prevent or work through any food sensitivities that your dog may have then this is definitely a great choice. The number one ingredient in this particular meal is deboned lamb and if that is not decadent, what really is? Apart from obviously being delicious, this dog meal has a whole lot more to offer. It is packed with ingredients you are used to but should never get tired of. A few of these include high levels of Omega-6 and Omega-3 fatty acids which maintain a healthy coat, good skin and legendary levels of Glucosamine and Chondroitin which make for healthy hips and joints. Needless to say, a healthy option like this is void of grains, corn, and gluten. You are what you eat – that is how important food is to all organisms and beings. Nowadays, it’s not that difficult to tell who has been eating healthy from who has been eating sludge. Needless to say, the same goes for our canine friends, it is important to provide them with a diet that will reflect positively in their everyday lives and the Halo Natural Dry Dog Food, Chicken & Chicken Liver Recipe offers all they need to be healthy, well-nourished and happy as a whole. So, what makes it particularly special? The proof is in the poop – this holistic dog food has been proven superior when it comes to digestibility seeing as it provided more bioavailable nutrients. It also contains Omega 3 and 6 Fatty acids which make for healthy skin and coat; so, this dog food does not just work on the inside but also does wonders to the outside too. It is altogether made with actual whole chicken; so, say goodbye to all those options that use rendered meat, chicken or fish meal. This is the real deal! To sum it all up, what you can expect from this healthy dog meal is one made with whole chicken and chicken livers, grains and non-GMO fruits and vegetables. If you want the world to see a healthy dog, from the inside out, this is definitely a dog meal to opt for. There is a lot of information out there about canine nutrition as a whole and at times, it seems as if most of it gets lost in translation. If you own a Corgi or are planning to get one, then you should be able to provide them with top-notch food despite the number of zeros in your bank account balance. Here is a guide to help you get the best dog food for Corgis on your own terms. What to Consider When Buying Dog Food for Corgis. Protein is vital in a dog’s diet, even more so when that dog is a Corgi. The minimum amount of protein your adult dog should take in should be about 22%, but do not be afraid to crank it up a notch. There are brands out there that offer a whopping level of 30% protein in their products, and they are quite acceptable as long as you are comfortable with where they are sourced from. However, it’s best to opt for whole animal-based proteins coming from, meat, fish and poultry as these have high nutritional value. As aforementioned, Corgis can run you down! 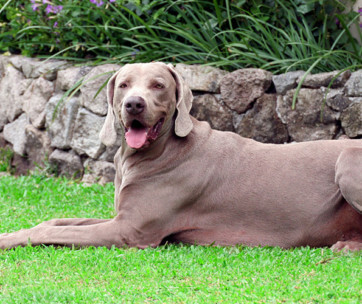 This is a very energetic breed of dogs and as such, their metabolism is quite high. This simply means they need a dose of healthy fats in their diet. You should be on the lookout for fish or chicken fat that is packed with DHA and Omega fatty acids. Though dogs need carbs, it is wise to limit their intake as a whole. 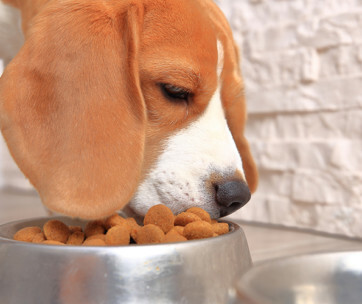 Look for carbohydrate sources that will not take over your pet’s diet. In the case that traditional carbohydrate sources raise red flags for you and your pup, you could try out some alternatives like sweet potatoes. It is advisable for most dogs to steer clear of grains and Corgis are no exception to this seeing as they do not digest properly. They should avoid grains like corn, soy, as well as wheat. However, grains and cereals like rice, oats may have a pass but if it is not working out, there is no need to push it. The digestive health of your pup is of the utmost importance and as such, experts advise to keep their fiber intake at a maximum of 5%. So, be on the lookout for food that generally maintains this standard. Adequate caloric intake should be administered; a puppy will need about 730 calories per day, while an adult needs 800-900 calories per day. Needless to say, Corgis have the same kryptonite as all other dogs. Theobromine is the component of chocolate that is quite harmful to all dogs so be sure to keep this away from you Corgi. If you care about the digestive health of your Corgi, then Soy one ingredient to avoid like a plague. It can cause bloating, indigestion, gassiness among other uncomfortable complications. Corn syrup is often used as a sweetener in many dog foods, but continued use could result in obesity. It is no secret that Corgis put on weight quite easily because of their body types. So, keep it at the back of your mind that an overweight Corgi is an unhappy one. Obesity is the number one health issue plaguing the Corgi breed and the fact that they are foodies at heart does not go well with their given body type. It is very easy for them to put on extra weight despite being blessed with a great metabolism. This is a disease of the spinal cord that also plagues this breed of dogs, in the long run, it leads to chronic paralysis in all limbs. Though it is not painful as such, it limits Corgis in terms of lifestyle. Though cataracts not incurable especially when detected early, it is still quite a pesky disease that shows up in the form of cloudy eyes and impaired vision. Due to the peculiar length of their backs, Corgis are quite easy targets for this Intervertebral Disk Disease. If they are experiencing stiffness, weakness and low coordination, then these are all telltale signs and should be taken into consideration. She does not just fill the stomachs of human beings but has forked out into the culinary world of our canine companions as well. Seeing as she is already highly associated with food, you can be sure that whatever Rachael Ray puts out will do wonders for your pup. She makes use of simple ingredients that are not only tasty but also deliver a number of nutritional benefits. As such, the Rachael Ray Nutrish Just 6 Natural Dry Dog Food contains a high-quality animal-based protein as well as brown rice, dried plain beet pulp, chicken fat, natural pork flavor and ground rice. To crown it all up, it is void of any grains, by-product meals and artificial additives.